MINNEAPOLIS (AP) - Exiting the commuter bus that brings him to the University of Minnesota campus every morning, Gavin Ovsak makes sure to duck his head slightly before hopping onto the pavement at Coffman Union. At six feet four inches tall, people may assume he is just another college student, but those familiar with Ovsak, 16, know the truth. "I'm rather tall for my age," Ovsak said. It has only been three months since Ovsak got his driver's license, but the high school senior and University of Minnesota post-secondary student has already become a budding entrepreneur. During his winter break last year, Ovsak spent 150 hours developing CHAD - the Circuit Head Accessibility Device, which serves as a computer mouse for people who are quadriplegic or suffer from trembling hands. By wearing the hat and tilting their head, a person is able to control the mouse. Users bite a device rather than clicking with their fingers. Ovsak will be traveling to Washington, D.C., at the end of September to be honored for his invention with a $10,000 scholarship. The ceremony is to be hosted by the Davidson Institute, a Nevada-based national nonprofit organization that supports gifted students. The institute annually awards 20 students with scholarships of up to $50,000. 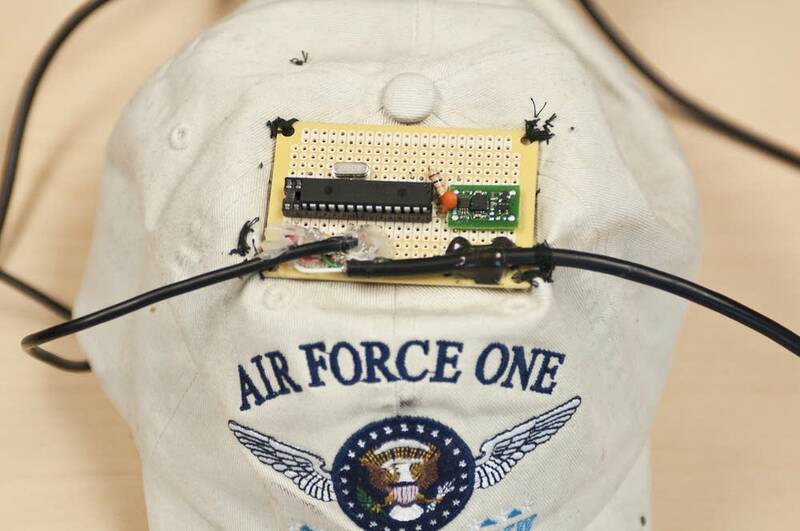 CHAD may seem like a simple device, Ovsak explained, but the circuit board attached to the top of the hat is actually very complicated. But while the technology is complicated, CHAD is unique in the way that you can easily plug the mouse into the computer via a USB cable, Ovsak said. Anybody with the program can walk up to a computer, put on the CHAD hat and use it. The idea for a hands-free mouse is not new - similar products are available on the market that help people suffering from the same disabilities. These products, however, must have special software installed on the computer prior to use, which CHAD doesn't require. The products also range from $800 to $8,000 Ovsak said. CHAD will cost around $400. Ovsak was able to bring CHAD to the Courage Center in Golden Valley this summer for a test-run. There, patients gave Ovsak feedback to improve his creation. "People were saying, 'Wow,' and that they would really like to use something like what he invented," Cathy Ovsak, Gavin's mother, said. "It was very gratifying to him to realize that his invention was very unique." In May, Ovsak and his family traveled to San Jose, Calif., to participate in the international Intel Science Fair after advancing from the regional round. Sixty countries were represented with more than 1,600 projects shown. Ovsak placed fourth in the electrical engineering category. The Intel Science Fair is the overarching body of science fairs across the world, said online high school teacher Princesa VanBuren Hansen, who helped Ovsak sort through the dense paperwork needed to compete in the fair. Like his idol, PayPal, SpaceX and Tesla Motors founder Elon Musk, Ovsak isn't tied down to just one idea. In his freshman year, Ovsak, who has yet to receive his high school diploma from Eden Prairie High School, created a program called RoomGuide, a navigation program for his high school of more than 3,300 students. The program has been in use in his high school since to help guests navigate the myriad of hallways and classrooms. "There are a lot of talented kids I've run across," said principal Conn McCartan. "The combination of his knowledge of computer programming, his ability to see a need and develop a solution for it, and quite frankly, his entrepreneurial spirit is what really sets him apart." Ovsak plans to present RoomGuide to the Mall of America in hopes that the mall will set up kiosks to help shoppers navigate the mall. He hopes RoomGuide will also be something the University can use on campus. "He hasn't stopped with these two items," McCartan said of CHAD and RoomGuide. 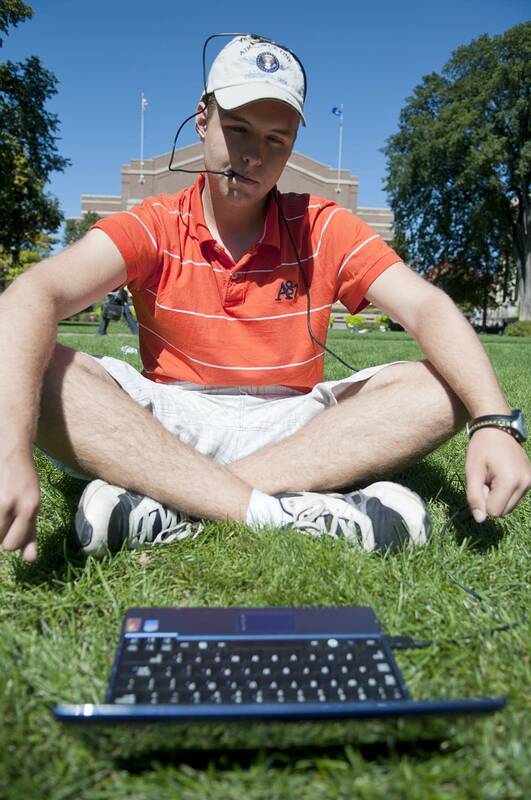 Ovsak spent this summer dabbling in Google Android phone applications, even creating a few. Ovsak also has plans to create a functional lightsaber as well as a Department of Natural Resources computer program that would track the spread of invasive species in lakes. Always thinking ahead, Ovsak is currently working on CHAD 2, a wireless rendition of the mouse. "It's been very encouraging for him to continue to try and improve it," his mother said. Ovsak hopes to someday patent his invention and sell it on the market. "We're going to continue to hear about Gavin in the future," McCartan said, comparing Osvak with the likes of Steve Jobs and Bill Gates. "Then we're going to be able to say we knew him once."